"As an organ of struggle the mind of man keeps his energy expending mechanism constantly under the stress of fear, worry, and anxiety. As a result, a group of clinical conditions peculiar to civilized man have appeared, which might be called energy diseases. 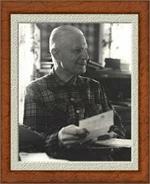 The heart of modern man is affected profoundly be the frettings and frustrations peculiar to his way of life--a pattern in which he works physically, mentally, and emotionally all day and worries at night. Man is a combat animal and will probably always be one. It is this combat instinct that makes business and professional competition attractive to him. The way of living he has created will not wreck him, however, if he learns how to control the energy expending mechanism of his body. 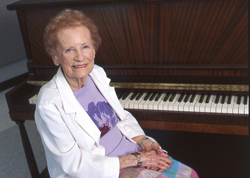 You may ask, "Why should an individual with arthritis be interested in this mechanism?" He should be interested because conditions in his life may be responsible for activating the energy expending mechanism, and he ought to know what happens in the body in relation to arthritis when that activation occurs. He should know, for example, that when a change in the reaction of the blood takes place, its normal faintly alkaline reaction increases until it becomes hyper alkaline. Then the blood calcium is precipitated, just as it is in the teakettle when water boils, and precipitated calcium forms a deposit, just as it does on the bottom of the teakettle. This free calcium in the blood makes the body tissues tough, interferes with the normal formation of tissue juices, makes it more difficult for the heart to circulate the blood, and brings about a deposit of calcium in the blood vessel walls. When the body holds all the precipitated calcium possible it spills over into the bursae and the joints. The object of treatment is to throw the deposited calcium into solution again, thus relieving joints and bursae of the precipitated calcium. Dairy cows in pasture achieve this, as we have seen, by selecting only acid reaction vegetation, and native Vermonters do it by the daily use of apple cider vinegar on their food and by taking honey. By using the vinegar-and-honey combination the daily food intake is made acid in reaction before it enters the mouth, in accordance with nature's plan. This prevents calcium from precipitating in the body. One reason why these Vermonters live so long is their ability to solve the calcium problem. 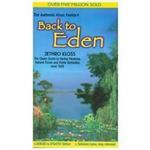 They keep body tissues free from deposits in places where no deposits should occur." "Nutritional Cocktails; An Article about Fruit and Juice Extraction"
1 oz J.CROW'S® Lugol's Solution of Iodine 5% + Free US & Canada Shipping! 2 oz. 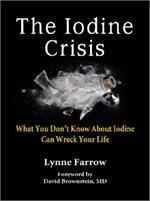 J.CROW'S® Lugol's Solution of Iodine 2% "1/2 Strength" + Free US & Canada Shipping! J.CROW'S® Lugol's Solution of Iodine 2% Master Carton-As low as $8.29 ea. bottle + Free US & Canada Shipping! 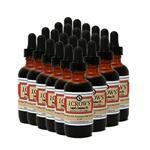 J.CROW'S® Lugol's Solution of Iodine 2% 16 oz.+ Free US & Canada Shipping! 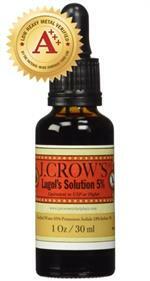 J.CROW'S® Lugol's Solution of Iodine 2% Pro Pack-As low as $8.49 ea. bottle + Free US & Canada Shipping! 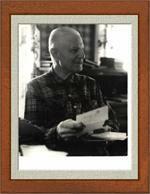 Special Report: Arthritis, an Energy Disease-by Dr. D.C. Jarvis, M.D. 1 Hydrion Short Range PH Paper + Free US & Canada Shipping! 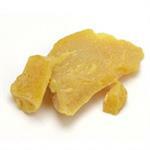 Bee Pollen Powder - 1 lb. 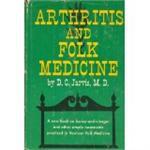 Folk Medicine By Dr. Jarvis-Free Shipping!